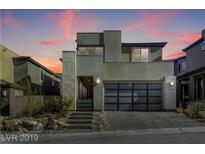 Below you can view all the homes for sale in the Canyons subdivision located in Henderson Nevada. Listings in Canyons are updated daily from data we receive from the Las Vegas multiple listing service. To learn more about any of these homes or to receive custom notifications when a new property is listed for sale in Canyons, give us a call at 702-323-5903. This home is part of Lennar’s signature Everything’s Included program that features green technology, home automation and much more! MLS#2090404. Lennar Sales Corp. Stunning NEW hm,OVER $250,000 IN DESIGNER UPGRADES,Grtrm w/12 ft sliding glass drs & vaulted ceilings,hardwood flrs & contemporary tile.Dream Kitch,quartz cntrtps w/waterfall edge,subway tile bcksplsh,Gray Cbnts,Culinary grade appli.w/ B/I refrige,pot filler,upgrd lighting t/o,Mstr bth custom frosted glass shwr w/quartz surround &cntrtps, floating strs,loft,closet organizer w/quartz cntrtps, wi-Fi thermo's,wireless access points, So many upgrades MLS#2088671. Realty ONE Group, Inc. This home is part of Lennar’s signature Everything’s Included program that features green technology, home automation and much more! MLS#2088696. Lennar Sales Corp.
Spiral staircase leads to rooftop with a firepit and incredible views. MLS#2088367. Realty ONE Group, Inc.
3 car tandem garage, detached Casita, owners retreat and entertainers kitchen. MLS#2086777. New Home Resource. 3 car tandem garage, detached Casita, owners retreat and entertainers kitchen! MLS#2086749. New Home Resource. 3 car tandem garage, large game room, owners retreat and entertainers kitchen! Must See!!! ! MLS#2086451. New Home Resource. Kitchen Aid Appliances, Quartz Counters, Luxury Bath Package and more! MLS#2086070. New Home Resource. This home is part of Lennar’s signature Everything’s Included program that features green technology, home automation and much more! MLS#2085819. Lennar Sales Corp. This home is part of Lennar’s signature Everything’s Included program that features green technology, home automation and much more! MLS#2081527. Lennar Sales Corp. This home is part of Lennar’s signature Everything’s Included program that features green technology, home automation and much more! MLS#2081531. Lennar Sales Corp.
Quartz & Granite counters, SS appliances, LED ltng, Loft w/custom bar, custom closets & A CUSTOM MOVIE ROOM-IT'S SPECTACULAR! A TRUE GEM! ! MLS#2067993. Pivot Modern, LLC. 8' doors and beautiful two-tone paint. This one is a must-see! MLS#2067715. New Home Resource. This home includes Lennar's "Everything's Included" features such as Stainless Steel Kitchen Appliances, Lennar Home Automation, USB Outlets at kitchen & master, and much more! MLS#2065560. Lennar Sales Corp. The loft even includes a balcony! MLS#2063417. New Door Residential. Huge Master shower with luxurious tile surround. Master closet and pantry extended! MLS#2062744. New Home Resource. 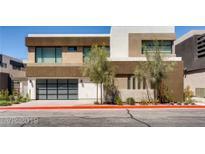 This is a Blue Heron Home, lot of upgraded, never lived in, view of Las Vegas you cannot miss this one. MLS#2056740. Go Global Realty. Fantastic first and back yard landscaping! Really better than New! MLS#2042956. City Villa Realty & Management. This Gorgeous Home features an Open Floorplan~Spacious Bedroom and on-suite down stairs~ Up graded cabinets~ SS Stair railings~ 72" refrigerator~ Ice Maker~ Upgraded flooring through out~ Smart Home (WIFI certified) Cat 6~ $80k in upgrades included~ Oversized covered patio~ Balcony MLS#2041437. Lennar Sales Corp.
White Cabinets, Upgraded Countertops, Upgraded Flooring, And Tile Work Throughout. This Home Won'T Last! MLS#2040786. New Home Resource.